VideoCentric have made a major investment into stock of hire and rental systems from each of the leading video conferencing manufacturers to provide for the growing demand of customers wanting to recognise the benefits of a complete video solution across their organisation, before making large investments in technology or commitment to a cloud service subscription. 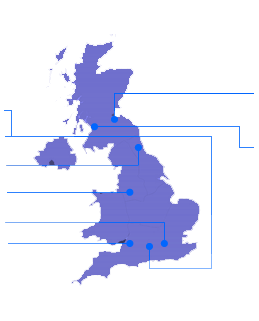 The expansion in available hire equipment also provides for the growing number of organisations running one off major events or multi-day seminars, who do not need to purchase a system outright, and customers in the legal and consultancy sectors who wish to charge daily and weekly rates to specific jobs or customers without a large outlay for themselves. “The growth of customers utilising cloud services has spurred on the need for available hire systems, and although we offer trials and try before you buy schemes for our customers, many organisations like to rent equipment for one off activities or for longer time periods, with the inclusion of services such as installation and on-site engineers for events. Large organisations are also making use of long term rental of systems such as SMART Skype for Business Room Systems to improve video collaboration within their meeting rooms without the large upfront costs. This major investment has been made by VideoCentric to ensure that all customers have access to the right video endpoints for their conferences and events, for whatever needs they may have,” commented Emily Shimell, Communications Manager at VideoCentric Ltd.
VideoCentric are already recognised as the largest stockist of video conferencing hire and rental equipment in the UK, with solutions including Cisco (NASDAQ: CSCO), Polycom (NASDAQ: PLCM) and Lifesize endpoints, collaboration technologies such as the Barco Clickshare, SMART Kapp IQ and Bridgit, and accessories including PTZ cameras and audio devices. Established in 2001, VideoCentric Ltd is an award-winning, fully accredited and independent end-to-end solutions integrator of the worlds’ leading video conferencing, telepresence and video collaboration solutions. VideoCentric design, supply and install on-premise, private, managed, cloud and hybrid video based solutions for businesses from SMB’s to large scale multi-national enterprises in both the private and public sector. Our portfolio includes solutions from all of the world’s leading manufacturers including Cisco, Polycom, Lifesize, Pexip, Vidyo and Avaya, and provides businesses with solutions for boardrooms, lecture theatres, meeting spaces, mobility and the remote workforce. Our video conferencing and collaboration solutions are supported with accessories including AV, interactive technologies, bespoke touch panel controllers, audio solutions and wireless presentation technologies. Proudly supported by our award-winning maintenance programmes and customer care services, VideoCentric provide the highest level of technical support available in the UK with our own fully trained and expertly accredited staff, and have the UK’s most comprehensive interoperability & demonstration suite, with over 35 video conferencing systems, virtualized infrastructure platforms, cloud & BYOD offerings and the integration of Cisco, Microsoft Lync and Polycom video infrastructures.